Note: Most of these ideas are based on a class of 25-30 students. We know that some teachers have FIVE TIMES that number (what's up, middle school teachers! ), and so we've included some party ideas that are still affordable for a big group of students. These ideas are marked with *. Purchase bingo cards and M&Ms. Give each student a pile of M&Ms to mark the numbers as they are called. You can honor certain students by letting them be the number caller. After the game, it’s M&M eating time. It’s an oldie but goodie. Pizza can get pricey, but if you keep your eye out for coupons, you can make it happen. At the time of writing this post, Dominos had a coupon for Large pizzas for $8 each. Save a couple of dollars on delivery by having a parent pick it up and bring it in! This is a great one if you are allowed to monopolize the freezer in the staff room! Grab a couple of family-sized ice creams and toppings, and you’ve got a sweet celebration. Not interested in junk food? Create art instead. Amazon has some great sets of tempera paints for under $25. Grab a roll of bulletin board paper and make a class mural, or give each student a “canvas” of their own. Make sure to come up with artist aliases and fancy titles for your work. Stick to classics like soccer and kickball, or get creative. Pumpkin bowling. It’s a thing. Amazon sells a bag of popcorn that’s the size of a human torso. At the time we’re writing this blog, it costs $33. There are more affordable popcorn options, but the extra $3 may be worth it when you see your student’s faces. Poll your class to figure out a movie they’d like to watch and purchase it or rent it on Amazon or iTunes. For a double-party punch, combine with the popcorn party above. If it’s allowed, encourage students to wear PJ’s to school. Buy a big set of glow sticks or necklaces (last we checked, you could get 100 for around $20!) and hand them out. Put on some fun music and give the GO to activate the necklaces. Kick up the fun by adding glow bowling, glow ring toss, or create glow fashion (like capes, crowns, or tutus). Check out some of these ideas on our Pinterest board- Moby Glow Party! Serve pineapple and fruit juice, and purchase leis if your students are into that. Listen to traditional Hawaiian music. It’s also a great opportunity for a social studies lesson! Students dress up like (optional) and ACT like their favorite book characters. Serve healthy snacks and make a game out of it to see if students can guess who their classmates are portraying. This one requires some advanced planning, but it’s great fun. Plan for an afternoon where students can showcase their talents. For audience members, purchase or print out tickets and collect them at the classroom door. After the show, have a reception with sparkling cider and snacks. Grab a few inexpensive board games and set them up at stations around the classroom. Give students who win each round a token, and tally up the winner at the end. Have students wear their favorite colors to school and, during the party, sit them by color. Serve candy or snacks that can be divided by color (like Skittles) or do a color-specific art project. This could get messy (we suggest doing it outdoors in good weather). 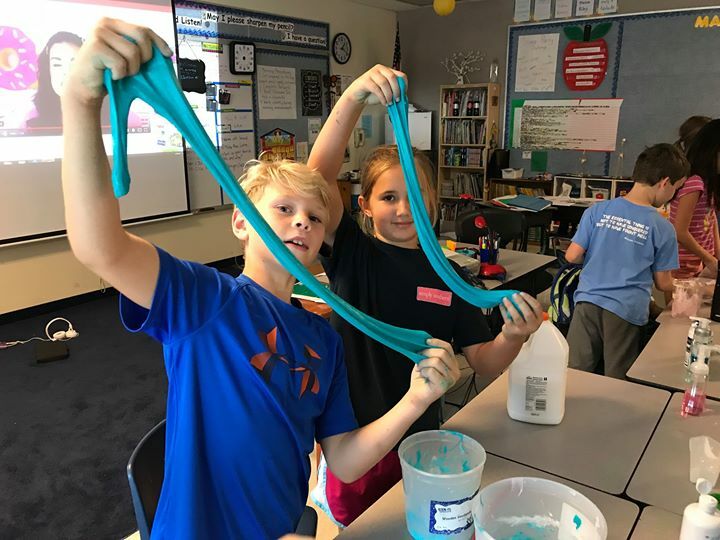 Purchase a couple of colors of Fabric dye in your school colors and have students bring in an old piece of clothing to tie dye. If they don’t have clothes they’re willing to ruin (I mean…improve…) you can do a towel, socks, or even a light colored backpack! Grab hot water from the cafeteria or snack room and purchase hot cocoa packets in bulk. 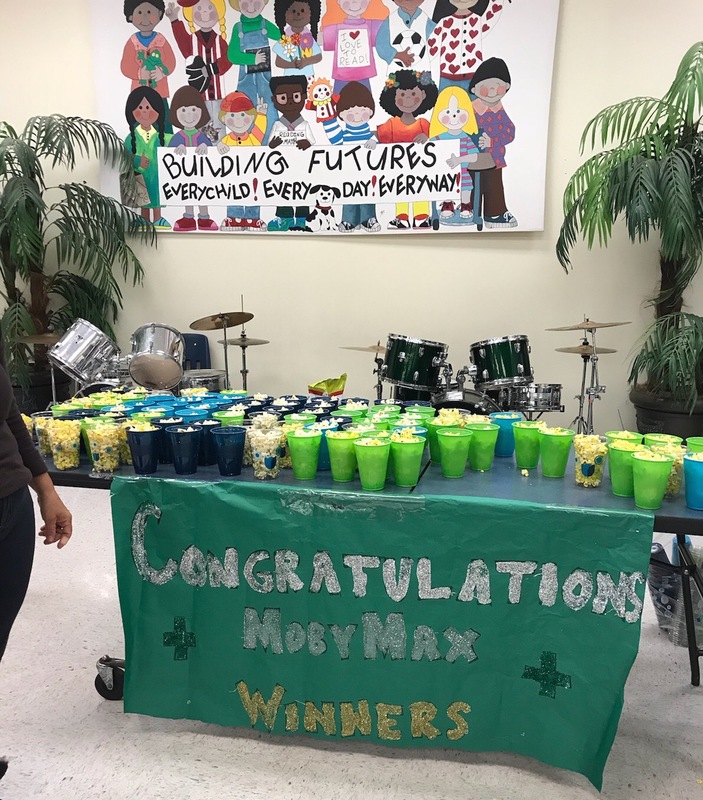 Before serving, hand out paper cups and markers and let students decorate their cups. We suggest combining this with a wintery movie for an extra dose of cozy. This is an inexpensive way to have a chilly celebration. Ice pops can be purchased in bulk online and then stored in the freezer at school. Snack on goldfish and watch a sea-themed movie or educational video. Have students come up with their own fish species. You know, the Moby mascot is a whale. We’re just saying. Set up a couple of classic science experiments (baking soda volcano, anyone?). Purchase lab goggles and encourage students to cackle loudly. You can put emojis on pretty much everything. We’ve seen emoji bounce balls, emoji cookies, emoji art, decorate-your-own emoji, emoji contests, emoji games- you get the picture. Have a class celebration centered around everyone’s favorite boy wizard. Serve “pumpkin juice” (orange works just fine), and pass out round Harry glasses. Encourage students to wear their house colors and play games to compete for the House Cup. Play Quidditch if you can find a way to make that work without hurting anyone. ** Affordable even for a big class. Want more ideas? Hop over to our Pinterest page to get inspired and see some of these cool classroom party ideas. Want to see easy it is to set up your own Moby classroom or school-wide learning contest? Take a look here.